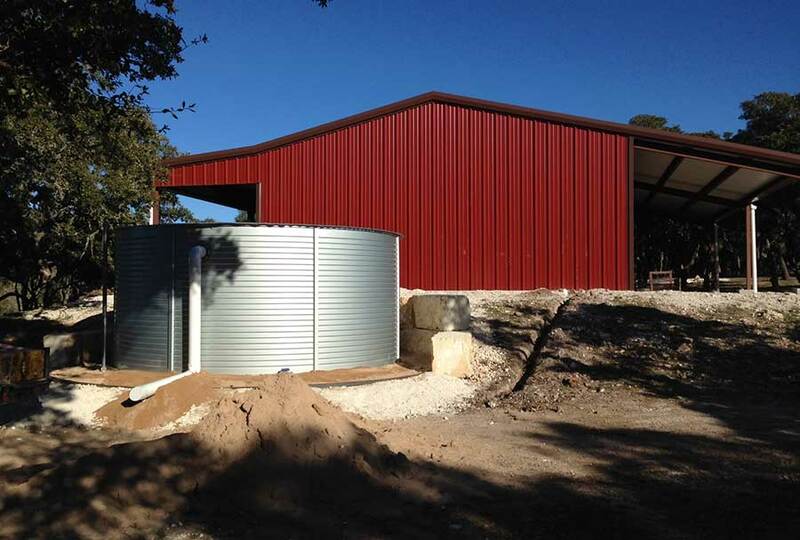 Pioneer Water Tanks can be designed with the full range of COLORBOND® steel. BlueScope has manufactured COLORBOND® steel since the creation of Zincalume® Steel for the past 50 years. 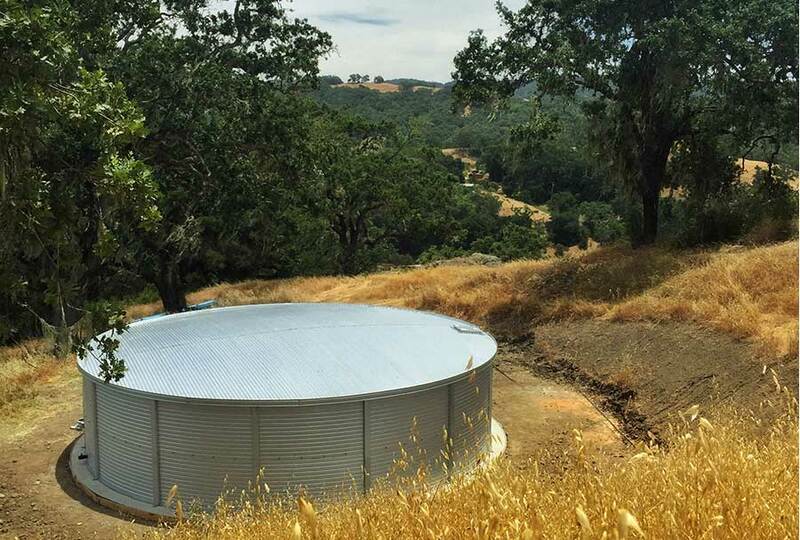 Third-party tested and proven for harsh environments, the COLORBOND® steel options improve the aesthetic of the tank without compromising the quality. 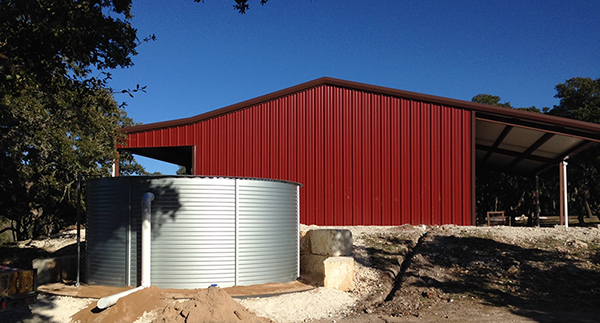 Learn more about COLORBOND® steel here. Sherwin-Williams is the leader in protective Marine grade coatings with 150 years of experience. This product line has been developed specifically for harsh conditions with proven durability and environmental compliance. See the complete product catalog. Below is just a sample of the immense Sherwin-Williams Protective Coatings available. Most sands and gravels that have been compacted to a reasonable level will be adequate, provided there’s soil beneath. Before you start preparing your site for installation of your tank, Acer Water Tanks also recommends you contact your local authority to see what regulations or restrictions are in place. Site preparation is very important. See table below for minimum sand requirements per tank. Clean, inert sand free of rock and debris is required. Tank pad must be level prior to construction. No compacting of tank pad is required. 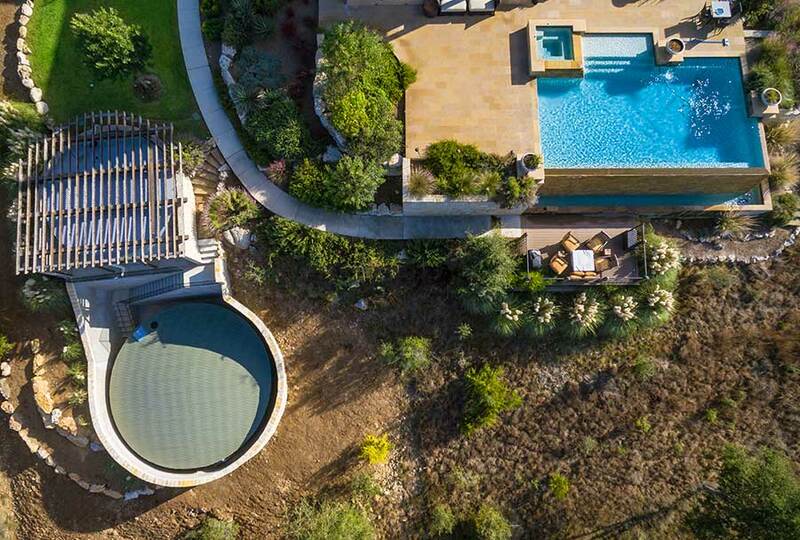 For sloping sites, please make sure adequate retaining and drainage is provided before and after completion of the tank. 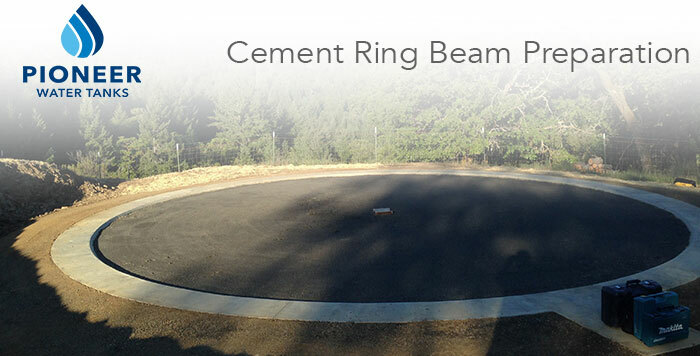 Place an inert anti-erosion control around the base of the tank after construction. 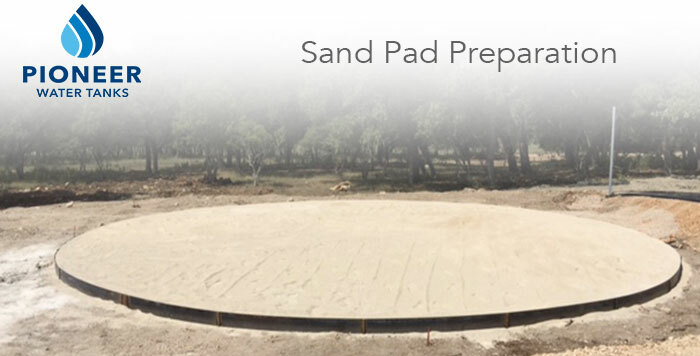 The best method to ensure your sand pad is level is to use a transit level. Spirit levels, laser levels, and transit levels are all excellent tools to ensure a level pad. If you have difficulties or do not understand, please contact your dealer or Acer Water Tanks Inc.
Sites out of level or not prepared correctly may be rejected or incur a charge to rectify. 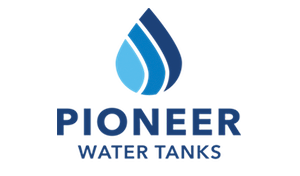 Pioneer Water Tanks are designed for longevity with a few items of owner maintenance that continues the quality of water storage that is expected. Every yearly quarter, the tank owner or their nominated contractor should do a visual inspection. The optimal inspection time is prior to the first rains and every three months thereafter. 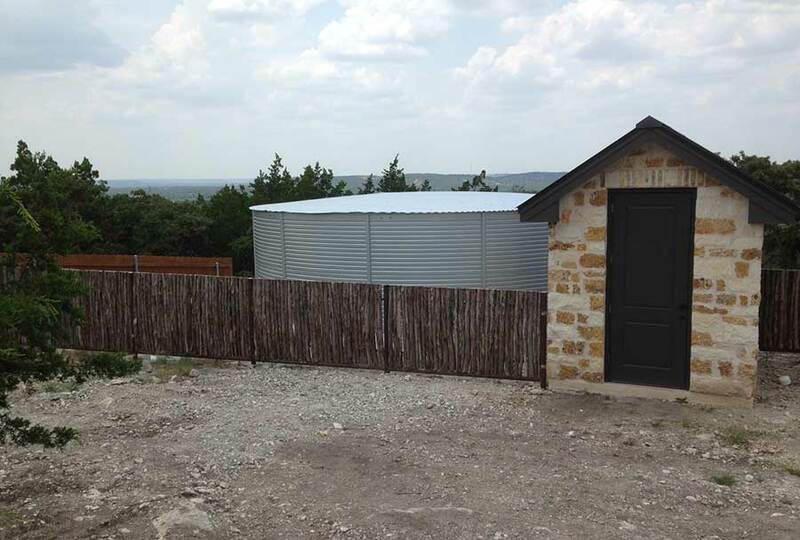 Ensure that the aggregate around the tank is dissipating the runoff water as it should be. If the sand base appears to be eroding, backfill the aggregate immediately and fill it around the tank wall. Continue to check the aggregate is dissipating the water runoff. The tank perimeter needs to stay clear of vegetation with a suitable and safe vegetation deterrent. Check for signs of leakage. If there are any signs of leakage, report immediately for efficient repair.  The roof should be kept clean of debris. Walking on the tank roof isn’t recommended, instead, use a long-handled or extendable broom to sweep leaves and debris from the tank roof. Lift out the roof mounted filter basket and clean out the debris. When the cover is placed back in, ensure that the cover is placed correctly. If the system has a rain diverter (if fitted), unscrew the inspection cap to clean out the collected debris and replace the cap. Check for evidence of pest/vermin activity in the area. Any sign of activity or damage needs to be attended to immediately. Liner damage caused by termites or vermin is not covered by the warranty. If it’s necessary, treat the perimeter of the tank with a suitable and safe pest/vermin deterrent, following the advice of a qualified professional. The sacrificial magnesium anodes were buried underground, close to the tank. Electrolysis diverts corrosion to the magnesium that is a more reactive metal than the Zincalme steel tank walls. The magnesium anodes gradually corrode while leaving the tank walls intact. These magnesium anodes have a 10-year life expectancy, that may be reduced in a more corrosive environment (such as coastal and industrial areas). The sacrificial anodes need to be replaced within the 10-year interval to meet the warranty conditions. If there are signs of minor corrosion on the tank, immediately treat the affected area and paint over with zinc rich paint. 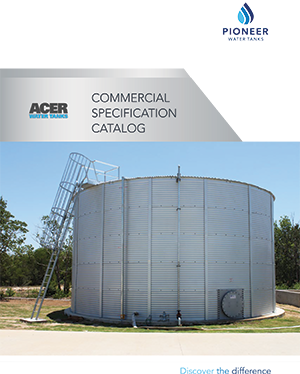 If there is evidence of major corrosion, please contact Acer Water Tanks, Inc.
Anodes can be purchased for replacement with Acer Water Tanks, Inc or your local contractor with whom you made your initial purchase with. Insert video of anode replacement. Cleaning tank panels are recommended with a garden hose and a soft bristled brush. Hose the tank panels down and use the brush to remove any dust, grime and salt spray. If the sand pad or aggregate is disturbed, it must be rectified immediately. painted with UV resistant paint to extend their lifespan. 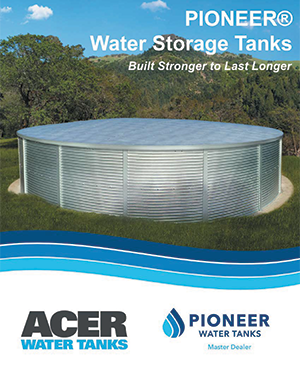 Acer Water Tanks, Inc. does not recommend accessing the interior of the tank on your own. If your tank needs cleaning, engage a qualified tank cleaner or contact your local distributor. If the liner is accidentally damaged during cleaning, contact your local distributor to arrange repairs. Insurance. 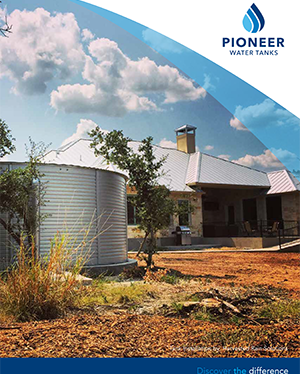 Now is the time to contact your insurer to have your Pioneer water tank included in your home insurance policy.